Change from Hobby to Art - Professional Color Blocks! You are a designer and an artist. 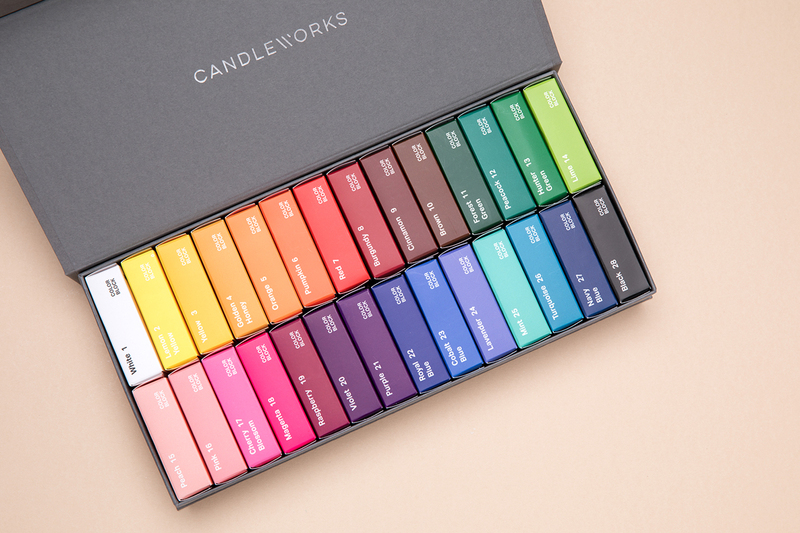 Candleworks knows that you are an expert in studying sharp and beautiful candle colors. Upgrade your color palette now. 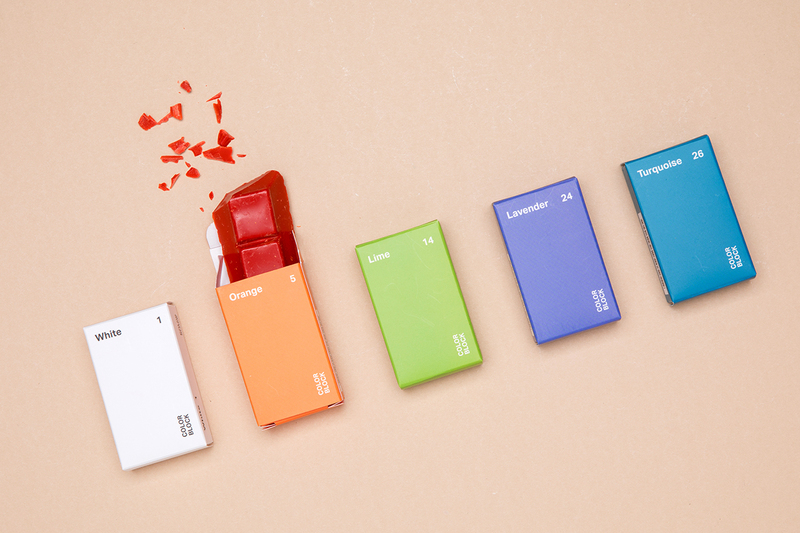 From the single color to the mixed color, we prepared the most excellent 28 colors. Performance of the Color Blocks! Solid dyes (color blocks), which can be cut with a knife without flaking, are easy to use without dyeing your hands. When liquid dyes are difficult to control, you can mix more colors more easily and more with the color blocks. If you mix a small amount, you can express from pastel tones to the primary color with lots of sheep. Two Exclusive Cases Maximize the Beauty of Color! 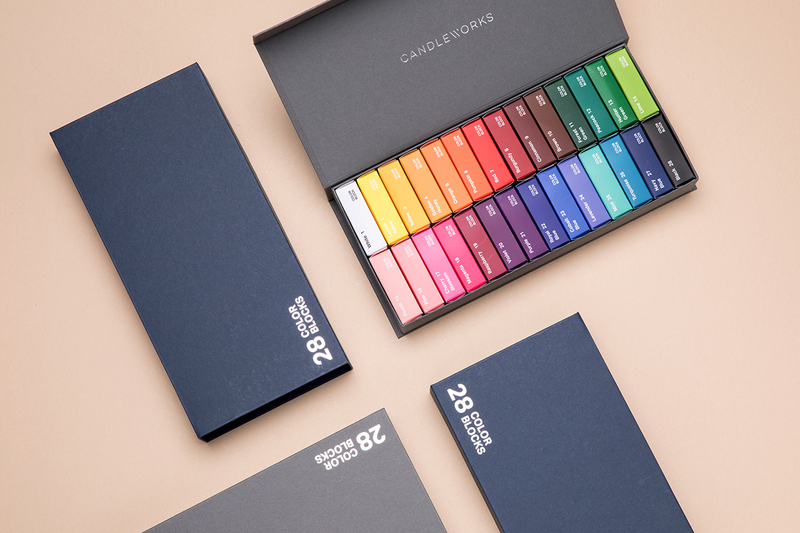 It contains the philosophy of Candleworks. At the workshop, we want to make sure that the professional materials to be used at home are not just raw materials, but also enhance our sense of design. 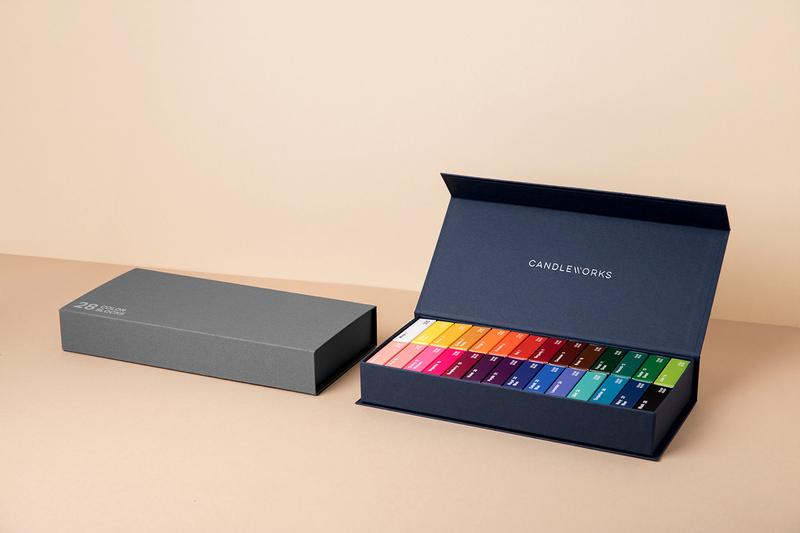 Candleworks dye is itself a color chip. 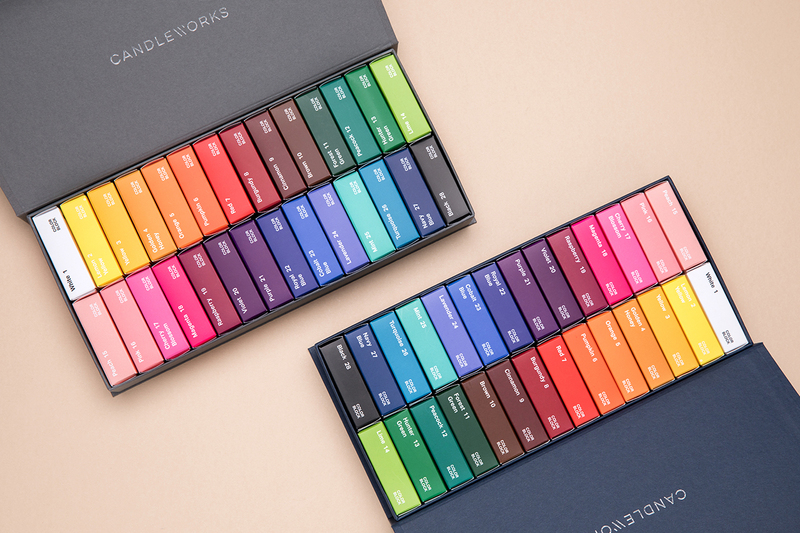 Prepare a set of 28 colors that you can not miss any one. The used dyes are sold separately in a single color box so that they can be refilled again. And now, it is safe to present it as a gift to those who enter the candle or prepare for the education. Characteristics > 1 Color Block can be used to dye about 3~5kg of wax. Opaque natural waxes, such as soy wax, tend to have more color and more color to represent the primary color. It should be put before the fragrance oil. Please melt the solid dye in the wax temperature 80 ~ 90 degrees. * The colors of the individual box of each color block are color for understanding and it is difficult to be exactly the same as the actual color of the solid dye. It may slightly differ.